On March 15, Parateum Corporation (TEUM) announced that the company received ten new customer contracts during the first half of the month for a total of $17 million. The new customers are from Europe, Africa, the US, and Asia, showing the company’s ability to attract a global customer base. Parateum will provide communications platform service offerings that include some of the services available following the company’s recent acquisitions of iPass and Artilium. 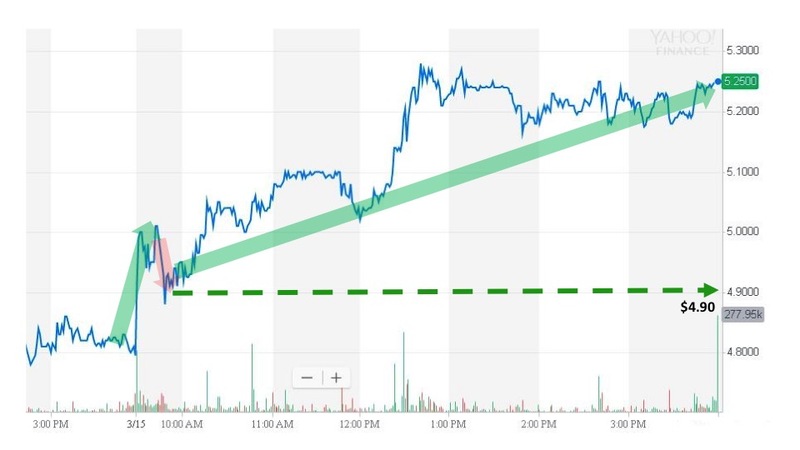 Sonal issued an alert at 7:00 am, and the stock price spiked higher during pre-market trading before fading back at the market open. Parateum opened for regular market trading at $4.90. The stock price climbed higher throughout the day before closing at $5.21 for an event-day gain of 6.3%.